I am assisting in the outreach efforts for this project and would love to get the word out there as much as possible. 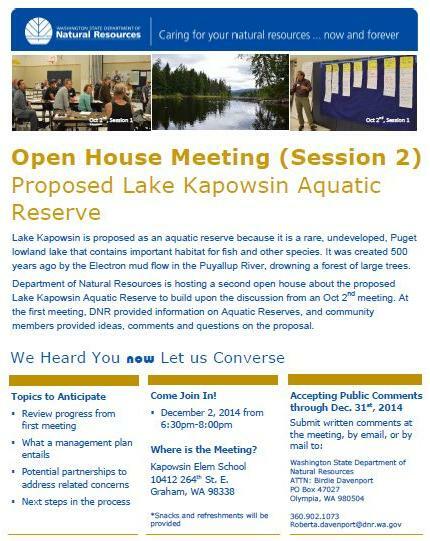 Our next meeting is coming up at the Lake Kapowsin Elementary School on December 2nd. I have attached the flyer here and the Press Release will be coming out soon. I just wanted to give you a heads up so that you can look out for the press release. This lake really is phenomenal. Let me know if you would like some more information! Thank you.